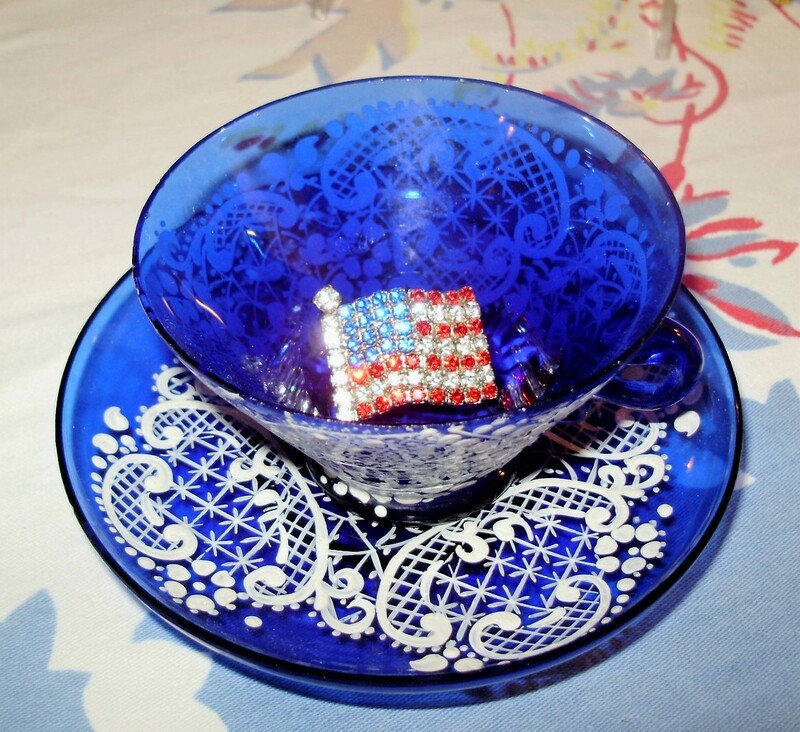 Martha's Favorites: SOFT SHADES OF RED, WHITE & BLUE TEA CUPS! SOFT SHADES OF RED, WHITE & BLUE TEA CUPS! 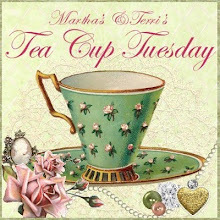 Hello Ladies: Once again, I want to welcome you to Tea Cup Tuesday No. 65. This week I was able to visit you and leave comments, so life is so much better. It was awful when I felt like we could not talk together. 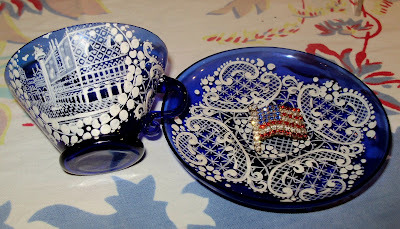 I am back to taking pictures of soft Red, White & Blue tea cups and teapots this week. My home is in transition to those colors. I unfortunately pinched my Sciatica (or what ever you do to make it hurt.) Not even sure how I did it, but have been home all weekend because of it. Just taking my muscle relaxers, so lights are on but no one is home. 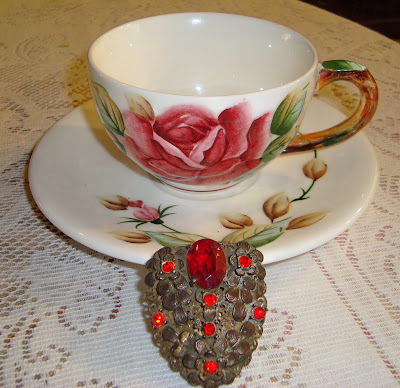 I do have some fun tea pieces to show you today. Starting with the Lefton "America Rose" tea pot with a matching tea cup and saucer. I know I showed you this before, but it is one of my favorite patterns. It is not china really, but pottery, however, it is stunning. My next cup is an Aynsley. I love the blue, cream and red colors on this and just look at the handle. I don't think I ever met an Aynsley I did not love. 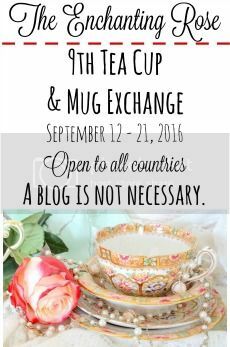 Can it be possible that my love of tea cups is growing? Oh, no! Let's not talk about it! This next cup is a handmade, cobalt blue, cup from Italy. 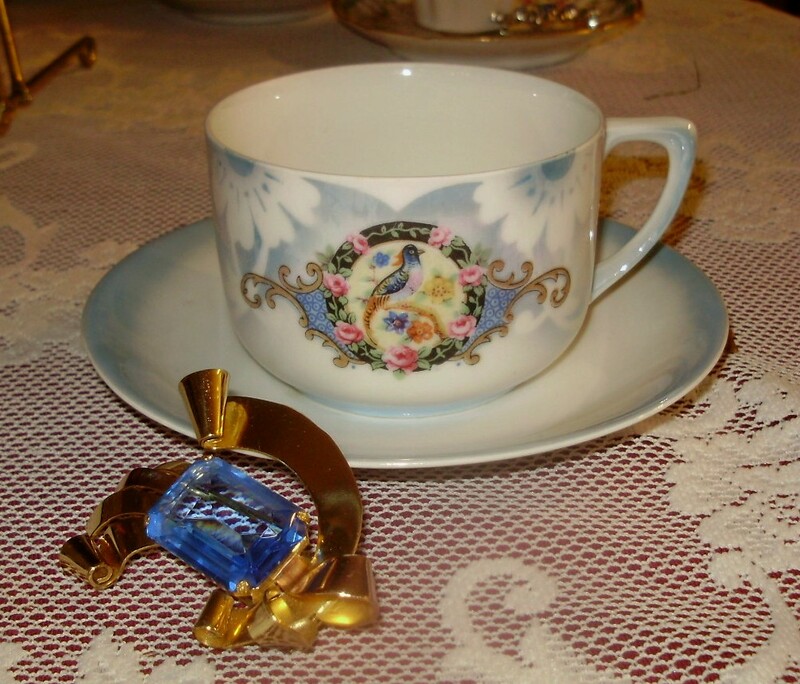 It is a demitasse cup. Just beautiful, don't you think? This last cup I am sharing with you this week is Bavarian. 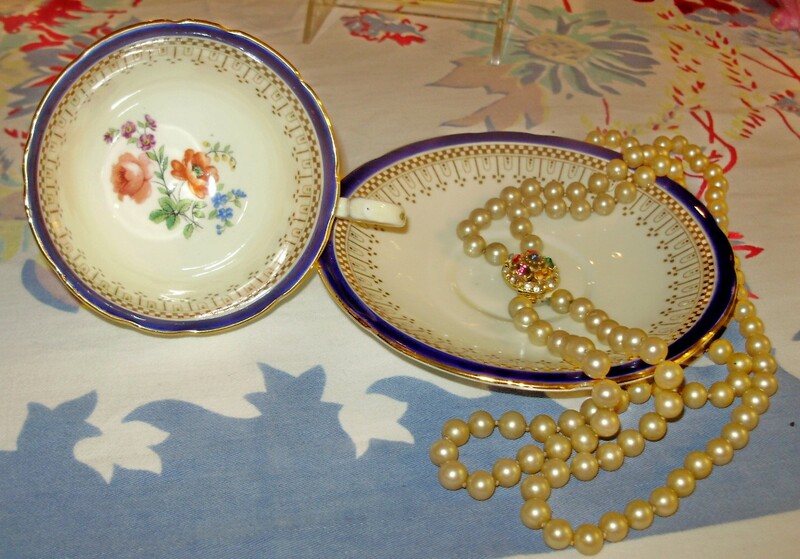 It is Lusterware, very old and very sweet. As I mentioned last week, I am giving this next tea cup away to celebrate my new website. It is a Mikasa. I purchase one for you and one for me. 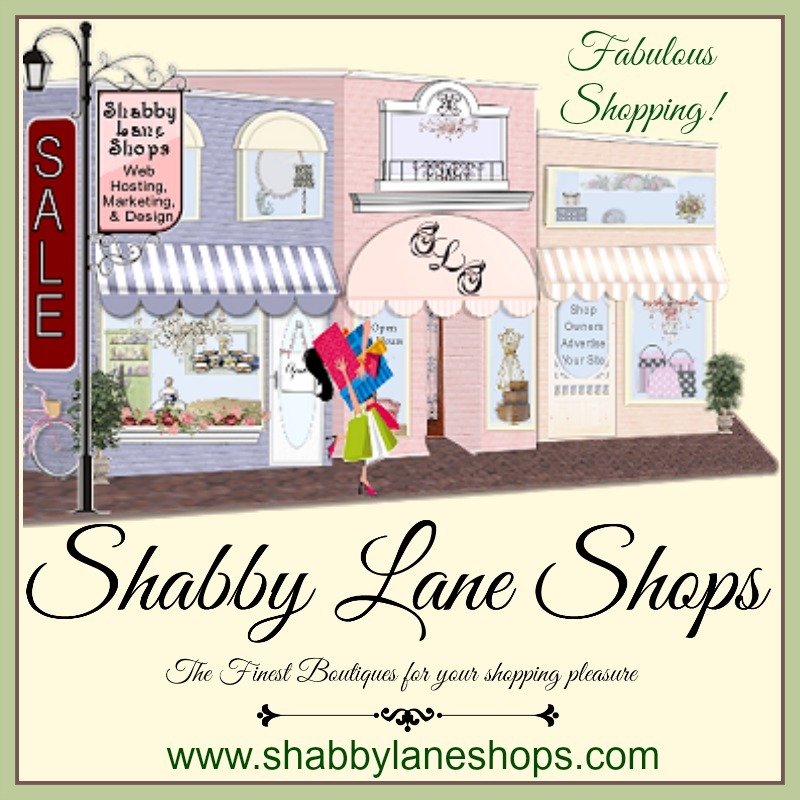 I have had a few ladies asked how to find it. 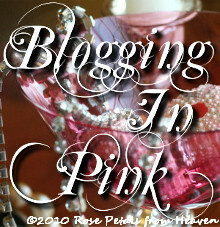 All you have to do is press the button that reads "Pretty Vintage Things" at the top of my blog. Thank you! Here is Mr. Linky, thanks to the Terri, the sweetest lady you could ever have as a friend. Please visit her this week. Amazing porcelain pieces, I lake it! first of all: oh, what a shame that they cut off your part of the TV-Show. May be they will show it in a later Show? It would be such a glory moment to see your china in TV. I mean, they mad a lot of efforts to view your cups, didn't they? I am always impressed about the beauty of your tea china. I love them really all. 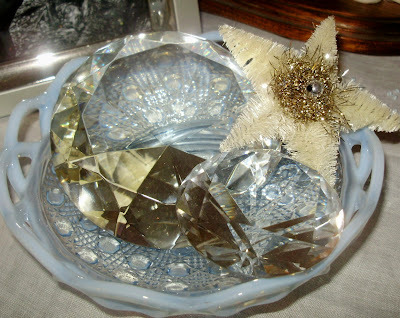 See, we are blessed, we don't need to see any TV Show to have fun with your treasures! 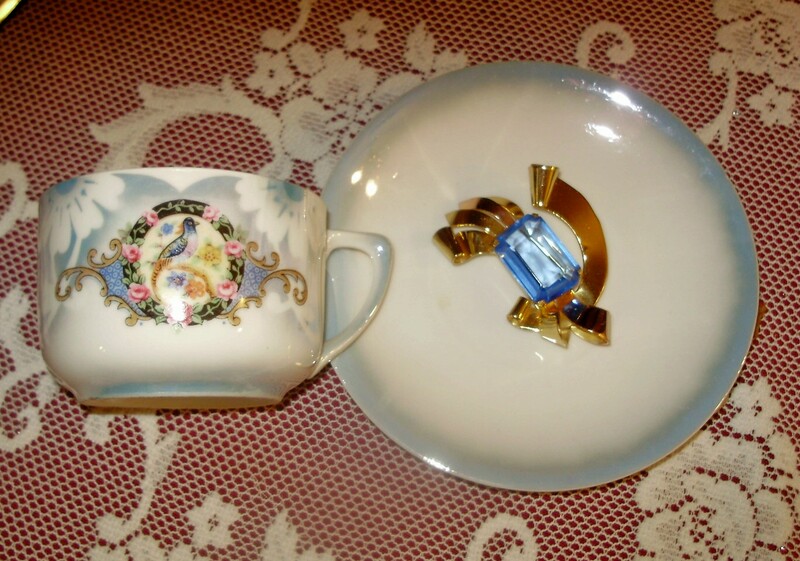 Your teacups are exquisite (as always), especially the cobalt blue one. Sorry to hear about the TV show. How exciting that would have been! 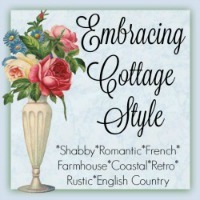 Love your collections - drop by for tea - vintage quilts and a mystery tea party!!!! Martha you are Famous and FABULOUS to all of us! We hang on your every post each week so in my humble opinion you do not need NBC you are already a rock star! Each cup inspires me a different way but I must say the last Bavarian one took my heart. The delicate blue was so nice. Have a great day! 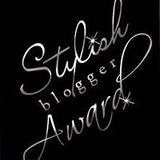 Well, you'll always be famous and beloved to us here in Blogland, my friend! I love your hand made blue tea cup from Italy; how gorgeous it is! Thank you for sharing and enjoy your day. Shucks, Martha. I was looking forward to know a TV star! You are famous in the Land of Blog. We love you! Oh, and by the way ... beautiful cups and saucers you shared today! :D :D Happy Tea Day! So sorry to hear about the cancellation of your show...but who knows, maybe it will be picked up yet! Your cups today are all gorgeous. The Italian cup is really unique! The tea pot is gorgeous. 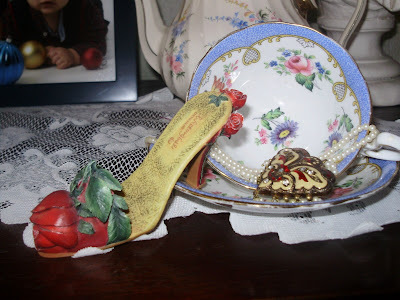 I hope that your siatica problems heal very soon so you can be up and about and finding more tea cups....(oooops, did I really say that???).LOL! 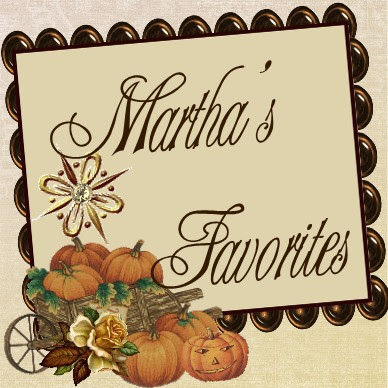 You are famous to me - dearest Martha - am a big fan!!! Maybe I will start a club! 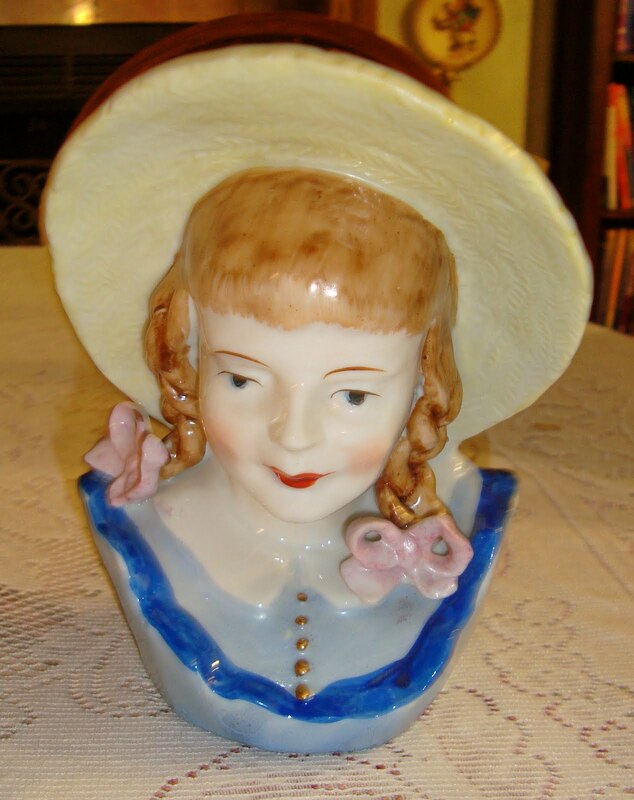 Oh my!.., More lovely collectables!.., Tell me dear lady.., What do you 'not collect' as far as pretty, antique decorative porcelain and china dishware and collectables are concerned?!? 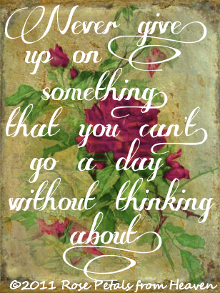 ~ Thanks for the inspiring and informative post as always! ..,Love your soft reds, blue and whites pretties! 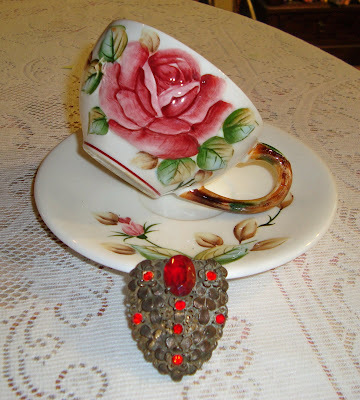 So sorry your teacup piece was cancelled; you're a star with us though!..,You put on a mature,brave face dear Martha, yet I don't doubt that it some ways it must have been quite a disappointment! As an aside; please enjoy your national Iced Tea day on June 10th; I know I will! 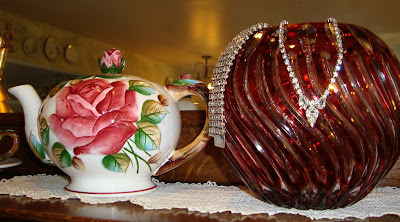 ~ Thanks to Amy for 'the heads up', @ http://teagirlworld.blogspot.com/2011/06/my-tea-drinking-problem.html because I didn't realize that there was one. 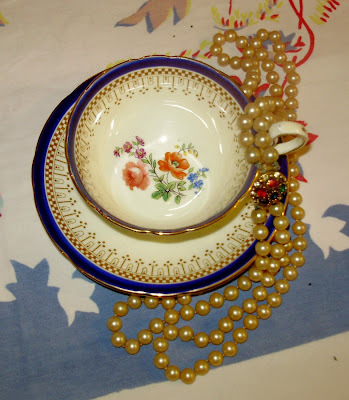 Also, if you get a moment Martha please joining me for TTTT and also for my 86th 'Tuesday Tea For Two'; I always so enjoy having you join us as part of, 'Tuesday Tea Time In Blogland'. No worries though; just get well! Hope your feeling better soon Martha! That can be so painful! Please also kindly pray for me, as I'm in torment with an allergic rash, ( and worse really)! ~ My dear mama's immune system is out of wack, as is mine and we get these nasty times when nothing seems to help with our out breaks! 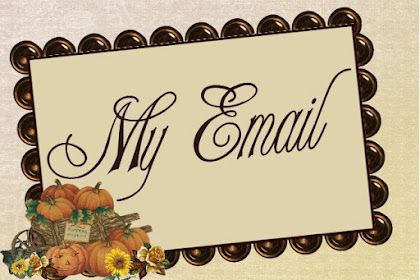 ~(Her hives have lasted 4 years and no doctor e knows why)!.., She lives on anti-histamines and that's not good for anyone!.., I do not want to end up like her poor dear! She never complains' what a sweetie! Sorry Martha.., Did I write 'a book' or what?! I'm kind of barely hanging on by the grace of God as the itching is driving me crazy! (I can't take Benedril, etc., as it makes my heart race)! I so love visiting you that I got carried away! Dear Martha, What beautiful tea things you showed us. I'm glad YOU collect them and then I can see your pretty cups, saucers, and collectibles. We don't have room for any. (Little house.) 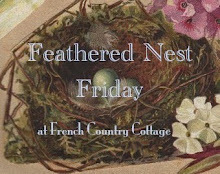 I have one antique hutch and it has all that it can hold. LoL! Thanks for hosting this great party. 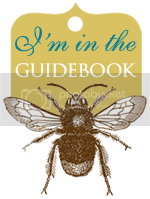 :o) If you tried to link up to mine, everyone was having trouble, but I've fixed the linky tool now. 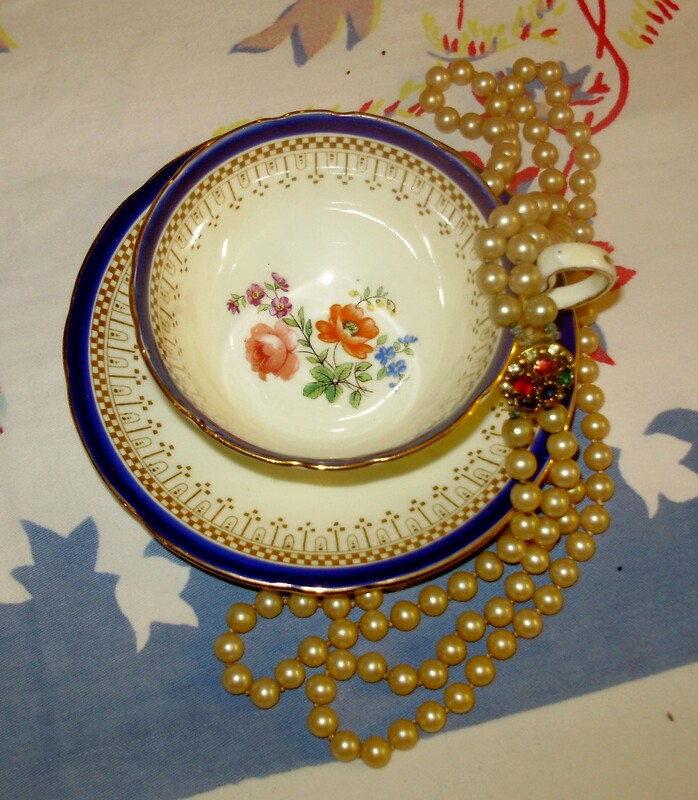 Dear Martha, thank you for sharing ALL your beautiful teacups. Sad new about the show...maybe something will be coming your way down the road, I hope! 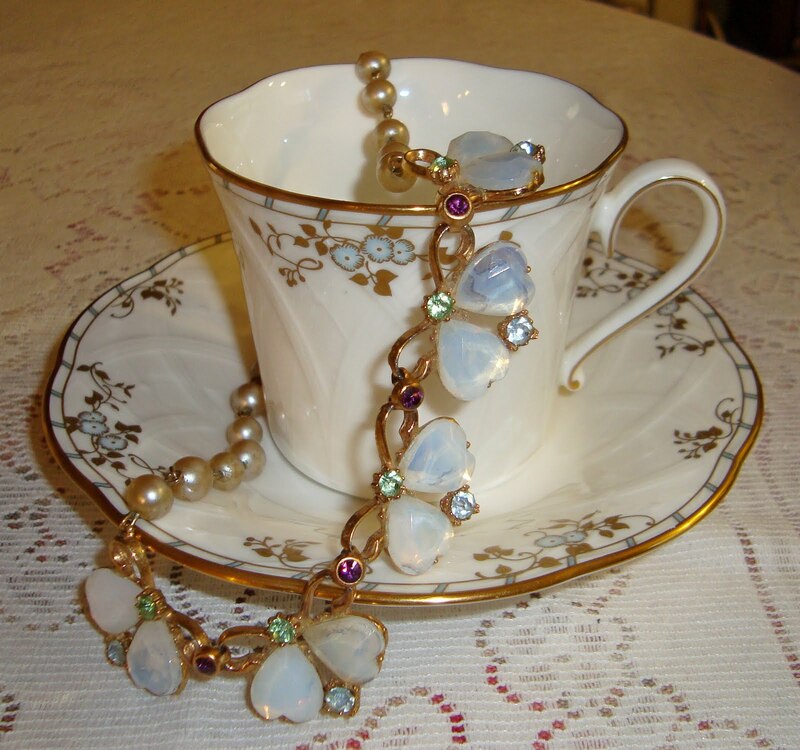 I love the demitasse cup and saucer. I have a small collection of them and always want more. I collected them before I started on teacups. I didn't have room for the big ones years ago. 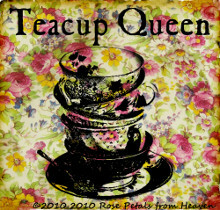 THE BEGINNING OF MY LOVE AFFAIR WITH TEA CUPS! REMEMBERING A SPECIAL DAD AND YES, TEA CUPS! DAZZLE THE EYE WITH TEA CUPS!